http://www.alephbet.org Aleph Bet Jewish Day School, Anne Arundel County's only Jewish day school located at Kneseth Israel. Established in 1989, it has classes from grades K through 6.
http://www.ujc-aac.org United Jewish Council of Anne Arundel County, which features a complete calendar of events for all the Jewish organizations in Anne Arundel County. Kneseth Israel Cemetery Congregation Kneseth Israel owns the only Jewish cemetery in Anne Arundel County. For more information on burial plots, please check out this Web page. www.jmhp.org The Jewish Music Heritage Project, the world's only organization dedicated to documenting and illustrating in sound the vast treasury of sacred Jewish music. In addition to its cantorial music, the JMHP All Volunteer Boys' and Men's Choir is now in training to perform and produce archival recordings of this glorious repertoire of choral synagogue music. Our own Rabbi Moshe Weisblum and sons Meir and Natan are in this choir. http://www.jewish.com/ Annapolis native Rabbi Micah D. Halpern, well known educator, historian, and syndicated columnist living in Jerusalem, writes a bi-weekly column for America Online's Jewish Community Web page. Check out Micah's blog at www.micahhalpern.com. Micah Halpern's book is "What You Need to Know About: Terror", which has received national attention. The book is available on both Barnes & Noble and on Amazon.com Web sites for only $9.95. http://www.jhsm.org Jewish Museum of Maryland. http://www.bzdisrael.org/ The Baltimore Zionist District (BZD) mission is to nurture the bonds between Baltimore and the State of Israel. BZD is loyal, first and last, to the Zionist cause -- where leadership is required to further the Zionist cause here in Maryland. http://www.jewish.com America Online's Jewish Community Web site. http://www.aish.com Very good Jewish site, wide variety of subjects. Features the "Wall Camera" at the Kotel. Great view and wonderful to look at. http://www.myjewishlearning.com produced by Hebrew College and Jewish Family & Life! with lead funding by Edgar M. Bronfman, this is a central Internet site for learning about Judaism. http://www.njop.org/jcindex.html The National Jewish Outreach Program was founded in 1987, by Rabbi Ephraim Buchwald, in response to the urgent need to address the issues of Jewish assimilation and intermarriage. Since its founding, NJOP has become one of the largest and most successful Jewish outreach organizations in the world. NJOP reaches out to unaffiliated Jews by offering them positive, joyous, Jewish educational opportunities and experiences. http://www.jewishweek.com New York's "Jewish Week" magazine, the country's largest Jewish weekly publication. The editor is Annapolis native Gary Rosenblatt, son of Rebbitzen Esther Rosenblatt and the late Rabbi Morris D. Rosenblatt. http://www.haaretzdaily.com/ English version of the daily Israeli newspaper Ha'aretz. http://www.maarivenglish.com/ Maariv Israeli News Service, which translated articles and editorials from one of Israel's most respected newspapers. http://www.israelemb.org/ Official Web site of the Israeli embassy. http://www.virtualjerusalem.com/ Provides news, editorials, history, and travel information relating to Israel and the worldwide Jewish community. http://www.palestinefacts.org Well documented and accurate facts about the history of Israel. http://www.onejerusalem.org Their objective is to save a united Jerusalem as the undivided capital of Israel. They organize, educate and rally supporters in Israel and all democratic countries, so that elected government officials are educated by a powerful voice in support of Israel’s claim to sovereignty over Jerusalem. http://www.walk4israel.com Grass roots non-profit organization dedicated to providing financial and emotional support to terror victims and their families in Israel. http://zoa.org/ The Zionist Organization of America is the oldest, and one of the largest, pro-Israel organizations in the United States. The ZOA was founded in 1897 to support the re-establishment of a Jewish State in the ancient Land of Israel. http://www.israel21c.org ISRAEL21c is a not-for-profit corporation that works with existing institutions and the media to inform Americans about 21st century Israel, its people, its institutions and its contributions to global society. 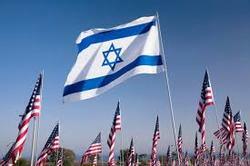 http://www.IsraelNationalNews.com (Arutz Sheva) Radio news direct from beloved Israel! Features the latest headlines and online polls. http://web.israelinsider.com An independent, nonpartisan online publication that aims to provide an "inside perspective" on the latest news, analysis and commentary from and about Israel. http://www.aipac.org American Israel Public Affairs Committee. AIPAC has 65,000 members across all 50 states who are at the forefront of the most vexing issues facing Israel today: stopping Iran from acquiring nuclear weapons, fighting terrorism and achieving peace. http://www.jajz-ed.org.il The Jewish Agency for Israel; professional and electronic network at the Education Campus in Jerusalem, this site strengthens the connection of Jews everywhere who share one common heritage, identity, and common ground -- Israel. A moving tribute to the late astronaut and Israeli Air Force Lt. Col. Ilan Roman is featured on this Web site. http://factsofisrael.com Covers the basic facts on the State of Israel and the Middle East. This includes, the map, history of the region, statistics, and more. http://www.theisraelproject.org The Israel Project is a new national non-profit, non-partisan educational organization devoted to ensuring an accurate portrayal of Israel - a democracy where all citizens have freedom of speech, press, religion and a right to vote. http://jewish-issues.com/ Jewish-issues.com is an On-line testimony to the unfailing love and grace of the G-d of Israel. You will find information of the home-gathering of the Jewish people from the far corners of the earth to Israel. http://www.israelnetdaily.com Provides headlines, commentary, images and more from Israel and the Jewish World. Free newsletter and news feeds. http://www.mideastweb.org/log/ MidEastWeb Middle East Web Log is a balanced in-depth opinion and insights about the peace process, Israeli politics, Iraq war and other Middle East topics. http://www.jewsforjudaism.com Jews for Judaism is the only international, full-time counter-missionary, counter-cult, educational, outreach and counseling organization dedicated to countering the multi-million-dollar efforts of deceptive missionary and cult groups that target the Jewish community for conversion. http://www.wiesenthal.com an international Jewish human rights organization established in 1977 dedicated to preserving the memory of the Holocaust by fostering tolerance and understanding through community involvement, educational outreach and social action. http://www.ushmm.org United States Holocaust Memorial Museum. http://www.campuswatch.org/ CAMPUS WATCH, a project of the Middle East Forum, monitors and critiques Middle East studies in North America, with an aim to improving them. The project mainly addresses five problems: analytical failures, the mixing of politics with scholarship, intolerance of alternative views, apologetics, and the abuse of power over students. http://www.star-k.org/ dedicated to education and research about kosher. For the kosher consumer you will find online information including lists of popular products (e.g. kosher soda, liquor and medicine), information for travelers to Baltimore, Passover information, Sabbath Mode appliance information, as well as detailed articles that delve into the intricacies of kosher certification. http://www.kashrut.com/ The Premier Kosher Information Source on the Internet. http://www.empirekosher.com/ Empire Kosher, founded in Liberty NY in 1938, is the world's largest kosher poultry processing plant. The site has recipes, cookbook offer, information in general of kashrut and information and serving suggestions for all of the Jewish holidays. http://shamash.org/trb/yahr/ Similar to the above site.